Since last week’s election, Rep. Nancy Pelosi has kept mum on whether she will pursue another two years as House minority leader, but on Sunday she hinted at an announcement to come Wednesday morning, when the Democratic Caucus meets. “When I see my caucus, I will discuss it with them in the beginning of this week rather than discuss it with rumor in Washington,” she said. But the rumor mill churns, with or without her. Say these people are right: What would a second round of Minority Leader Pelosi mean for Democrats? Another Congress in the minority under Pelosi has clear limits for Democrats. Since a tepid caucus elected her its leader in 2010, shortly after the midterms that cost the party the House, she has spent her time focused on—what else?—regaining the majority. Few were surprised when Democrats failed to retake the House in 2012, though it was not for lack of money. This election cycle, she collected more than $85 million in donations for House Democrats. On the Hill, though, it was only during flaps like the Rep. Anthony Weiner scandal, when she called for his resignation, that she truly occupied the limelight. 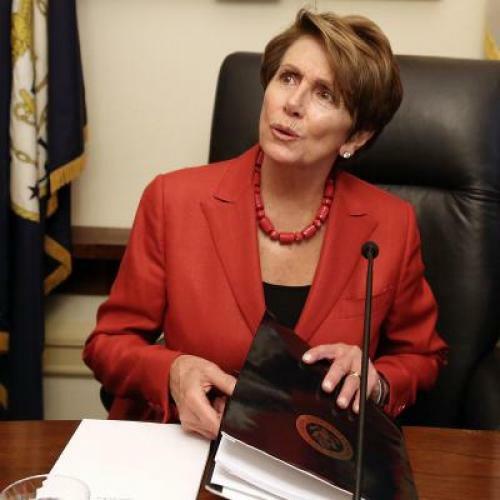 Occasionally, the Tea Party–moderate split among House Republicans afforded her caucus a little bit of leverage—as when Democratic votes became necessary to pass the budget agreement—but, as is any minority leader’s lot, Pelosi spent most of the past two years sidelined. Others are more optimistic about Pelosi’s hand. When pushed for his prediction, a second person close to Pelosi limned a very bright picture of her previous term as leader. “Any major piece of legislation we passed this Congress, whether reaching a budget deal, or funding highways, it had to pass with Democrat and Republican votes. … Because at the end of the day, Boehner can’t pass a bill that will pass the Senate without our help.” Clearly, he said, the Tea Party–moderate split in the Republican caucus that has pervaded the lame-duck Congress is going to persist into the next one. Ergo, clout. But Pelosi’s choice also has implications for the next generation of Democratic leadership—Rep. Chris Van Hollen and other young Democrats who may not quite posses the stature or seniority to run for leadership just now, but would have two more years to rack up the necessary accomplishments if Pelosi chose to stay in place. Unless they relish a leadership fight in two years, their prospects would be frustrated if a Hoyer regime began tomorrow, according to the top Democratic staffer (who does not work for Van Hollen). This post originally misidentified Democratic strategist Burns Strider as Burns Slider. We regret the error.